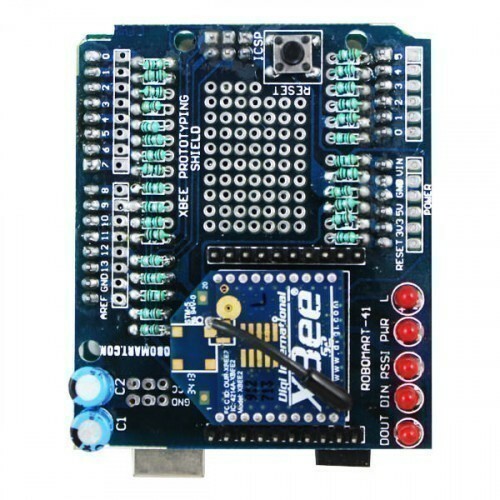 This Arduino XBee Prototyping Shield made by Robomart simplifies the task of interfacing an XBee with your Arduino, it is compatible with all Arduino boards, which require 3V3 as interfacing voltage as well as all other Arduino boards and its clones. 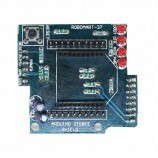 It is based on Arduino R3 layout with additional pins. 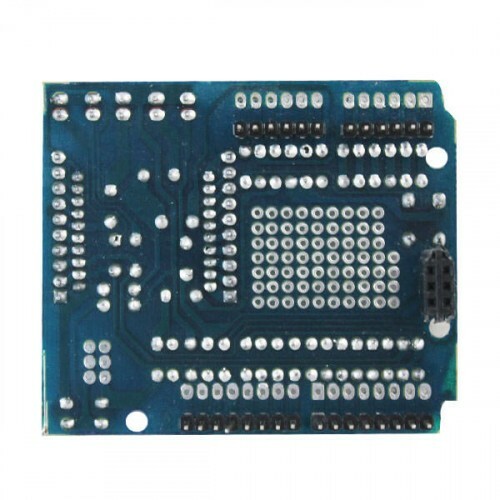 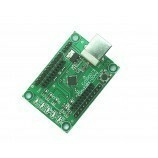 Can be use as XBEE development board. 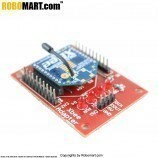 Mounts directly onto your Arduinos. 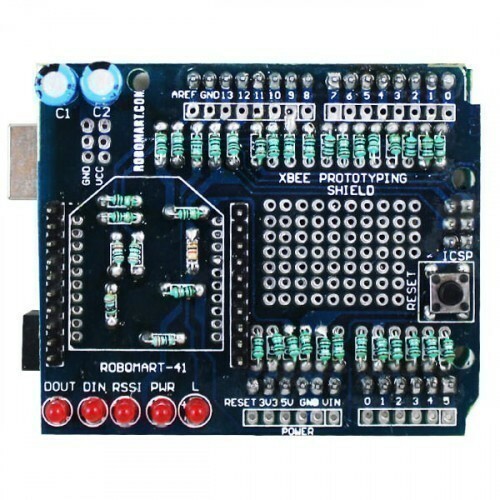 9x7 grid of 0.1" spaced prototyping holes. 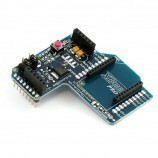 All XBEE pins are available at male Headers. 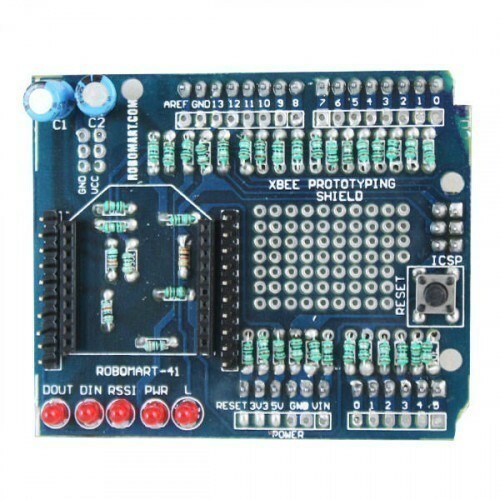 Power, DIN, DOUT, RSSI indicator LEDs. 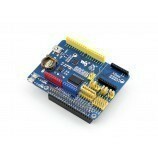 Also Searched as : Arduino XBEE, Arduino Xbee Development Board.